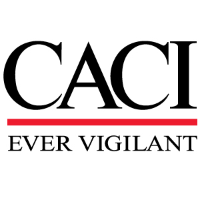 CACI is looking for a Service Desk Specialist to provide customer service support for office automation applications, personal computers, mobile devices, and printers. Primary responsibilities include answering, evaluating, prioritizing, and resolving incoming telephone, voice mail, e-mail, and in-person requests for assistance from users experiencing problems with hardware, software, networking, and other computer-related technologies. The individual must be able to work collaboratively with end users and other sections to ensure delivery of the best solutions as quickly as possible. Responsible for collection of incident information through customer conversation, and self-service support tools. Tracks incidents and requests from identification through resolution ensuring a quality end-to-end customer experience. Conducts initial assessment, triage, research, and resolution for basic incidents and requests regarding the use of application software products and/or infrastructure components. Engages other service desk resources or appropriate service resources to resolve incidents that are beyond the scope of their ability or responsibility by routing incidents, as necessary, to product line, application, or system support specialists. Executes against established Service Level Agreements (SLA). Documents resolutions and updates self-help and staff knowledge bases. Alerts management to recurring problems and patterns of problems. The ability to work independently under general supervision. A willingness to work in an energetic, fast-paced and team environment. Requires a high school diploma, and three years of related experience. Experience working with Remedy (ITSM). IT certifications, i.e. A+ and Security+, are preferred, but not required. Normal demands associated with an office environment. Ability to work on computer for long periods and communicate with individuals by telephone, email and face to face. Some local travel may be required.